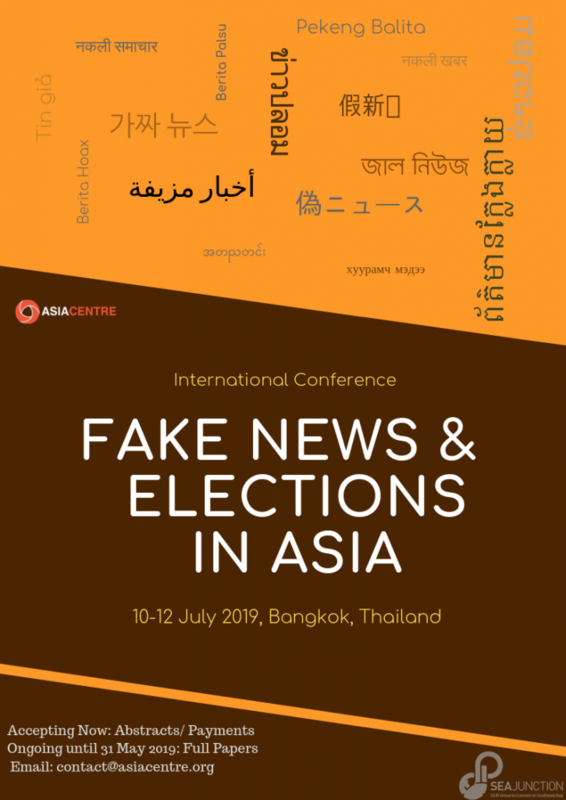 Stakeholders in Southeast Asia are increasingly expressing their concerns over the rise of information manipulation to influence public views and behavior, mislead, incite hatred and fear and even revise factual historical accounts. Behavioral manipulation has occurred at the grassroots level as charismatic leaders and groups take to social media to spread hate speech and fake news with the aim of gaining adherents to their cause in long running conflicts that threaten democratic values. A range of governments in Asia have introduced or have announced their intention to enact legislation to cover fake news. Traditionally “fake news” or one-sided propaganda have been generated by authoritarian governments who controlled local media and later introduced a variety of legislation to mitigate the flow of alternative information from websites and social media. The introduction of fake news bills targeting individual actors and alternative news portals is an evolution in the slew of legislation authoritarian regimes have been passing over the years against alternative content generated by online communications. Attention has also shifted to technology companies and their role in combating fake news, misinformation and rumours. Here artificial intelligence and data science are beginning to provide an understanding of viral social media content movement and its impact on habit forming behaviours. Overall, early analysis shows that democracy, the rule of law and freedom of expression are the likely victims of these emerging legislation to combat fake news. This conference will examine the phenomenon of fake news or disinformation and its use and abuse by governments, private entities and social media, the role of the citizen in the consumption of such ‘news’, the responsibility of media outlets, technology companies and the emerging legislation around it and its impact on human rights. It will also critically examine the role media literacy programme and the work of fact check centres. The conference will consist of thematic panels, country-specific discussions and a final plenary session which will be open to civil society groups, political parties, international organisations, government officials and the academic community to facilitate knowledge sharing and networking opportunities. This is a self-funded conference, hence a flat fee of USD$300 that will be charged to all keynote, paper and poster presenters and participants. This will go towards covering the cost of the venue, equipment and logistics, coffee breaks on all days, certificates for participants, and conference communications.